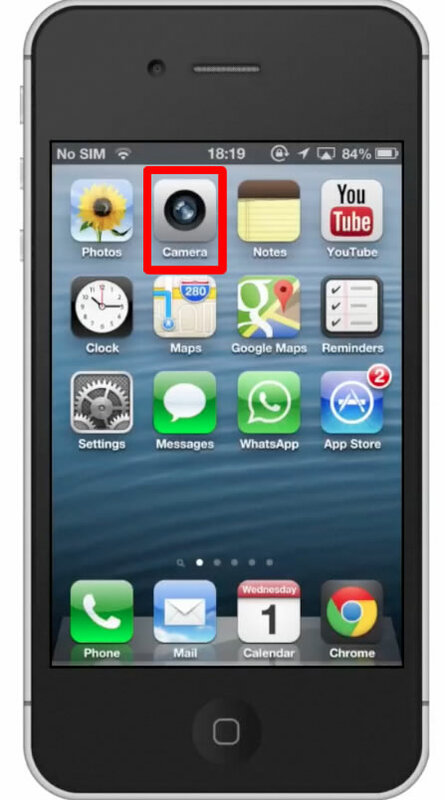 In this tutorial you will learn how to change the iPhone camera sound. This is best used in quiet situations or simply when you don’t want to here it yourself. As a side note, make sure you know that if you turn your iPhone’s mute switch on, any existing sound alarms will be muted. If you have it on vibrate however, it will still follow through with that task if you receive a phone call or text. The mute switch is located on the left hand side of the iPhone. You will then see an orange line appear above the switch. 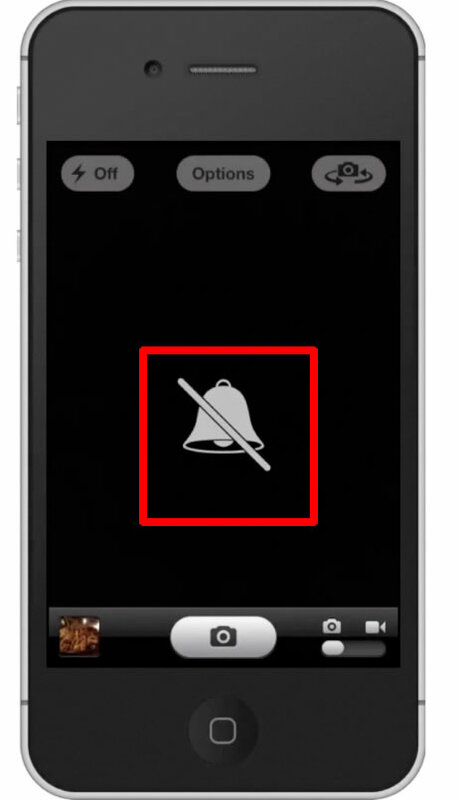 After that you will see an icon of a bell with a line through it appear. 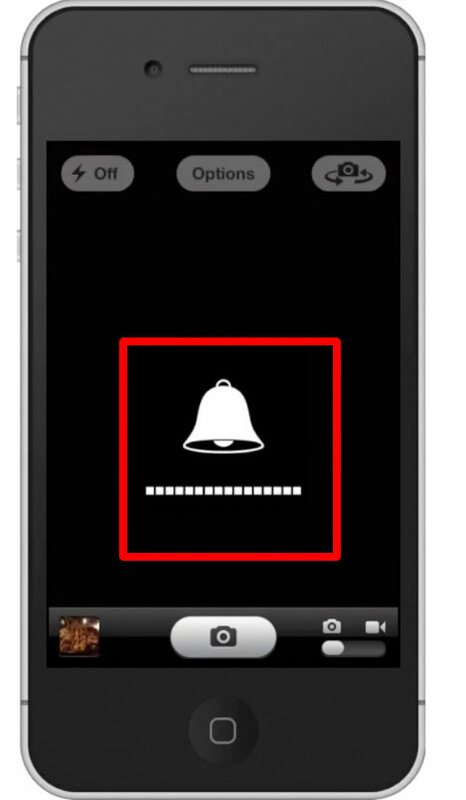 This indicates that your iPhone’s camera shutter sound will be muted. 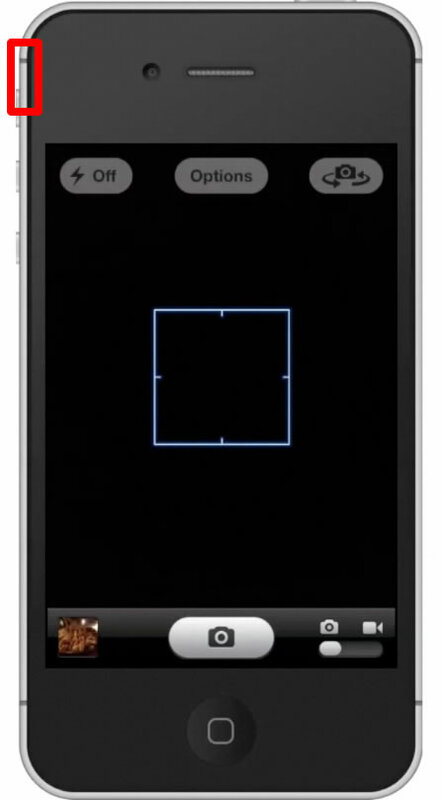 To turn the camera sound back on, simply adjust the mute switch back to its original position. This will also turn your phone’s sound notifications back on.